If your infant or toddler has been identified with a hearing loss, they may be eligible for services under the Infant and Toddlers Program of the Individuals with Disabilities Education Act (IDEA). IDEA is the federal law that governs the education of children with disabilities. The Infant and Toddler Program is also known as “Part C.” In exchange for federal funding, states and local agencies agree to follow specific state and local plans to provide services to children and their families. Individual states and local agencies may have their own name for their infant and toddler program, also known as an early intervention program. The services offered may include family training, counseling, home visits, special instruction, speech-language pathology, audiology services, vision services, assistive technology devices, assistive technology services and other services. The manner in which services are provided varies from place to place. In some areas, services are managed by a health department. In others, they are provided through an education department. In any case, service providers are to work together to ensure that appropriate services are offered to each child and family. Each state must have a “child find” system to locate eligible children. To find out if your child is eligible, contact your local school district. An important requirement of early intervention programs is that an Individualized Family Services Plan be developed for each child and family. The Individualized Family Service Plan (IFSP) is a written plan that outlines the services you and your child will receive. The IFSP is based on information about your child and family. Before the IFSP is written, there must be a multidisciplinary assessment of your child and identification of services appropriate to meet his or her needs. 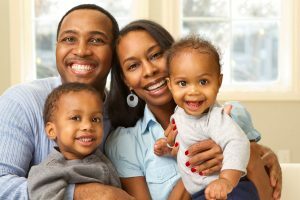 There must also be a family-directed assessment of the resources, priorities, and concerns of your family. In addition, there must be an identification of the supports and services necessary to help your family meet the needs of your child.